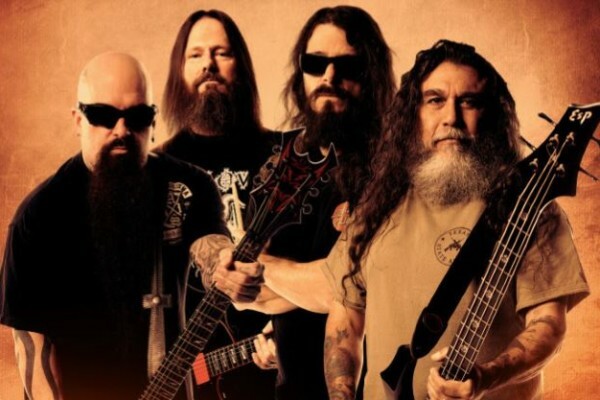 Slayer is once again working on a new album, to be the follow-up to 2009’s World Painted Blood. The news was broken by drummer Dave Lombardo via Twitter. Fronted by bassist/vocalist Tom Araya, the metal giants had begun preliminary work on a new record earlier this year when guitarist Jeff Hanneman suffered from a flesh-eating virus in his arm, reportedly caused by a spider bite. As such, the group held off the effort. There’s no word yet on an expected release timeframe. AAAAAAAAAAAAAAAAAAAAAAAAAAAAARRRRRRRRRRRRRRRRRRGGGGGGGGGGGGGGGH!!!!! !ENTER TO THE REALMS OF SATAN, SLAYER KINGS OF HELL.GREETINGS FROM ARGENTINA TOM , KERRY , JEFF , DAVE YOU ARE THE BEST!! !